Ike Barinholtz ("Blockers") writes, directs and stars in "The Oath," a dark new comedy about a very near future, in which Americans are asked to sign a loyalty oath to the President of the United States. 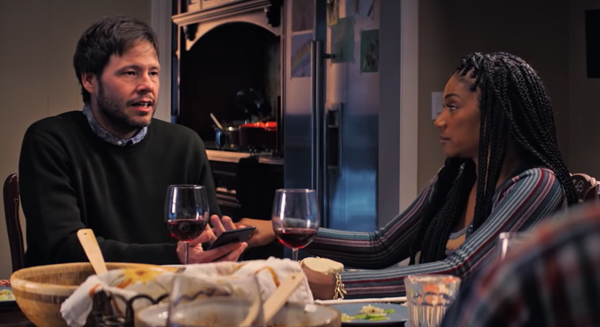 Chris (Barinholtz) and Kai (Tiffany Haddish) are a married couple who try not to let the fact that America is devolving into fascism change them, but find their principles tested over a difficult holiday weekend with their conservative family, which turns to violence when someone alerts the authorities to Chris's "unAmerican" beliefs. In his review of "The Oath" at The Wrap, William Bibbiani says "Barinholtz's film excels at recreating the simmering, day-to-day panic of contemporary American life," but that the film "loses its nerve" in the end.